Ooops, forgot the garlic! I always add 3-5 cloves. I make hummus at least once a week. 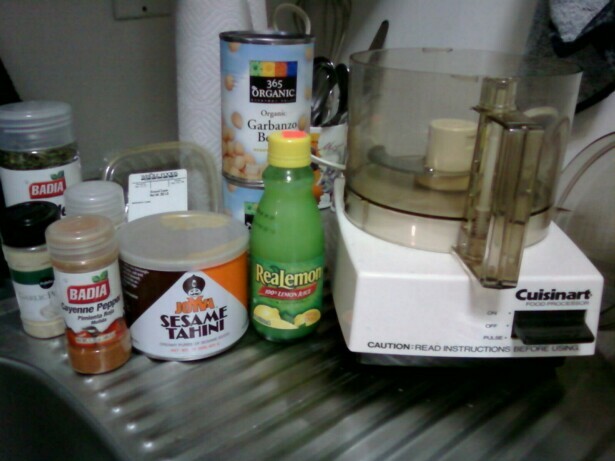 I keep it very simple and use an immersion blender, which I really want to recommend to you! As someone with a tiny kitchen, I find my immersion blender has quickly replaced many of my other kitchen appliances. Blend until smooth! 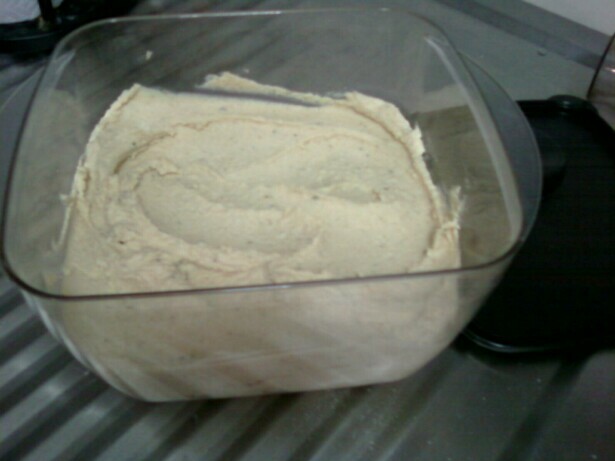 I’ve been experimenting with many different hummus recipes. As a fellow vegan, I always keep this on hand for a quick protein fix. thanks so much for your recipe! i love olives! i’ll have to try that next time! I really loved the apple cider taste in the last one too. Can’t wait to try this one out. it’s ready when you are, mister. I love making it too! I like to experiment with adding ingredients. are two of my faves. yah, i thought about saving the chickpea water, but i know with other legume’s juices, you dump them because of their, er… flatulence inducing ability! 😀 so i decided against it. thanks for the ideas! and for reading & commenting!